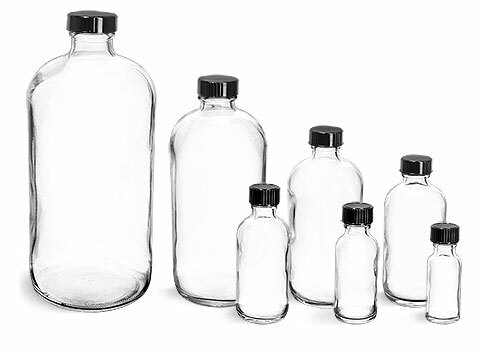 Offered in sizes from 1/2 oz to 32 oz, these flint (clear) glass round bottles come with black phenolic cone lined caps. The black cone lined caps offer added protection to your products. Be sure to test all products with these containers for proper compatibility.